storage during the summer and fall. major concerns is the potential for mold and mildew. hurricanes in Grenada. Ivan was nature’s wake-up call. 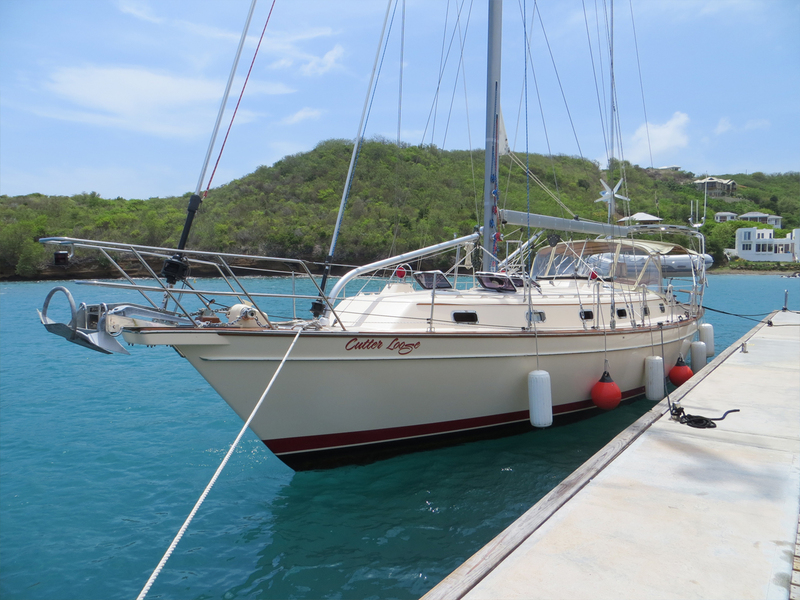 Hundreds of boats were lost in Grenada during this storm. 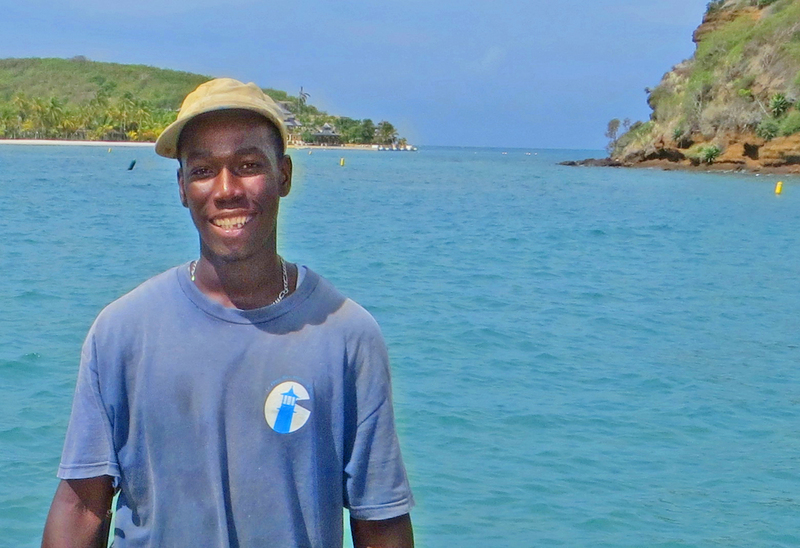 Now, most boatyards in Grenada utilize steel cradles, tie-down cables and other effective damage prevention measures. There is no question that Cutter Loose will be in harm’s way during the coming hurricane season. We will hope for the best, prepare for the worst and make sure the insurance premium is paid in full. After enjoying the simplicity of the cruising lifestyle for 188 days, our lazy routine has been rudely interrupted by work. Every day from 8 AM to 5 PM, we attack the extensive decommissioning checklist. One of the benefits of a slip in a marina is access to shore power in order to operate the air conditioning system during the heat of the day. Usually, the easterly breeze renders outdoor tasks bearable. By 5 PM, it is time for our daily cooling off period in the marina’s swimming pool. Loose for summer storage. 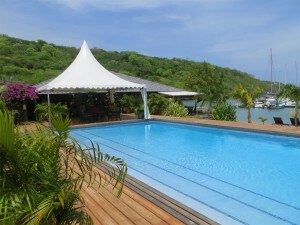 The marina offers views of waves breaking on two reefs at either side of the entrance channel. The staff is helpful and friendly. Our friend Staron, the dockhand, is a polite and capable young man who visits several times each day to say hello and check on our progress. Since this is the summer season, there are only 20 boats in the marina and fewer than 10 are live aboard vessels. Life here is pleasant and ultra-quiet. During our stay, one of our goals is to consume the remaining contents of the fridge and freezer. There are two restaurants on site should we achieve this goal before the end of the week. 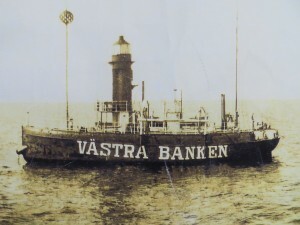 lightship built in Stockholm, Sweden in 1901. Lightships are frequently named for the area that they protect. Her last official assignment was Vastra Banken at 60 degrees north, 17 degrees east. 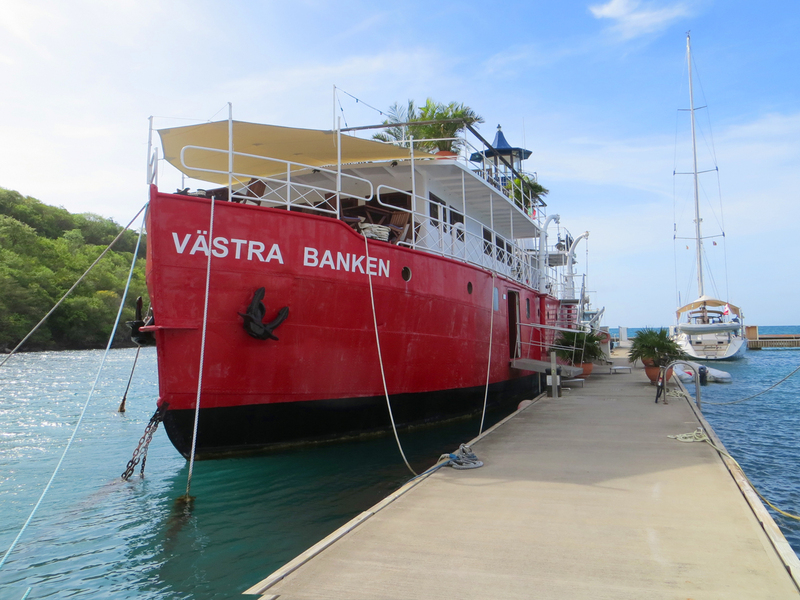 The owner of La Phare Bleu found her through a ship brokerage in Stockholm. She was refurbished in Germany and shipped here in 2006. 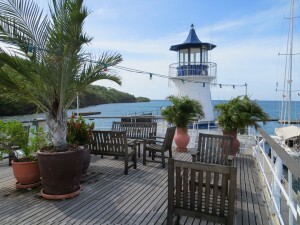 At La Phare Bleu, she functions as a bar and an upscale restaurant as well as the marina’s shower facilities and restrooms. The view of the harbor from the upper deck is superb. By Sunday, our mission at La Phare Bleu Marina is fulfilled. Cutter Loose is clean and shiny, both above decks and below. She appears naked as a jaybird, being stripped of sails. We will wait one more day before removing the cockpit canvas. Come Monday morning at 9 AM, she has an appointment with the Travelift at Grenada Marine boatyard. This entry was posted in Caribbean Cruise 2012 - 2013. Bookmark the permalink.